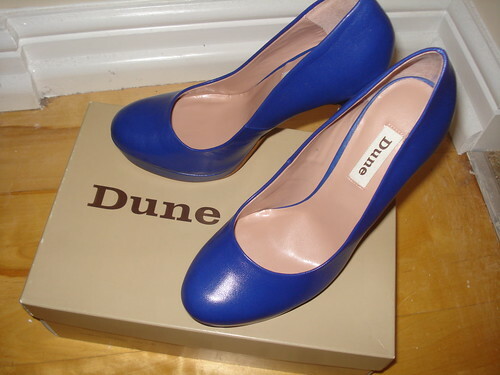 I've linked to the Dune website for this week's pair, but I actually managed to pick this pair up for £27 from Selfridge's when I was in Birmingham recently for fabric shopping. I can't find them on their site, though. I bought these mostly to replace a pair of bright blue Primark heels which have seen a huge amount of wear over the past few years and are really on their last legs. (Actually, although I wear them often, they haven't featured on the blog for a while; see here, here and here). 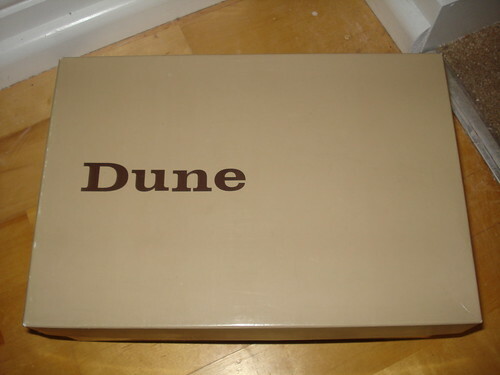 These Dune heels are a little higher, and leather uppers rather than the faux-suede of the Primark ones, but a good replacement nonetheless. I should think I'll get a lot of wear from them. Bright blue shoes!!! So pretty!! I couldn't leave them behind - such a bargain!